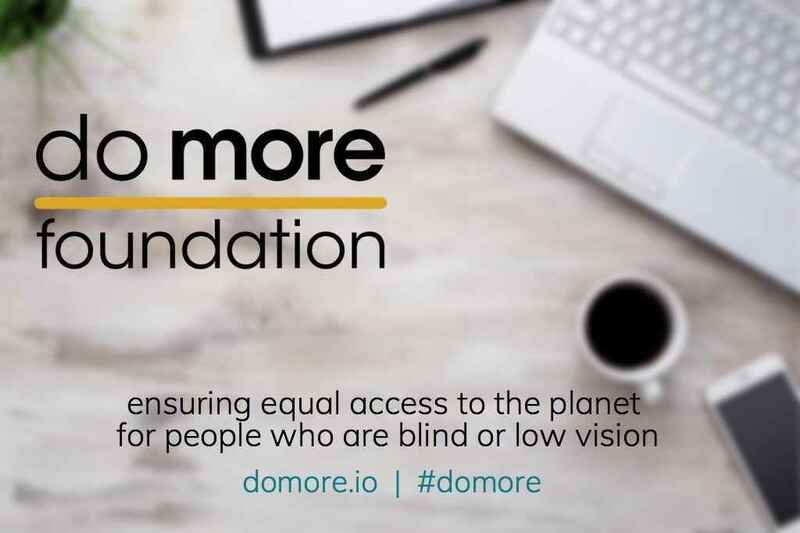 The mission of the Do More Foundation is to support and advance transformative technological solutions that transcend accessibility and empower people who are blind or low vision. Our vision is a world wherein detailed visual information is available instantly to people who are blind, allowing seamless navigation from task to task, destination to destination. Where once barriers existed for people who are blind or visually impaired, clear pathways now dominate the landscape. To make this vision a reality, we support the technology-driven solutions of Aira Tech Corp. By providing these solutions to the people who need them, independence and inclusiveness abound. We partner with the people who use this technology, as well as educators, industry experts and community leaders in order to provide comprehensive, experiential solutions for people who are blind or visually impaired. What Aira Explorers are saying about how the technology is transforming their lives! "A cane is an object detector. A dog is an object avoider. But neither can tell me what the object is. Aira can tell me that and more." - Stephanie H.
"Since I started using the Aira services it is the most independent I have felt as a blind person since I went blind. And that's a fact." - Chuck M.
The mission of the Do More Foundation is to support and advance transformative technological solutions that transcend accessibility and empower people who are blind or low vision. The Do More Foundation is a fiscally sponsored project of Mission Edge San Diego, a 501(c)3 nonprofit organization. Watch the video to see the technology in action! Great cause and I so admire mike Hingson!